Good reminder of the inhumanity of our so-called civilization and pretence of superior human intelligence. 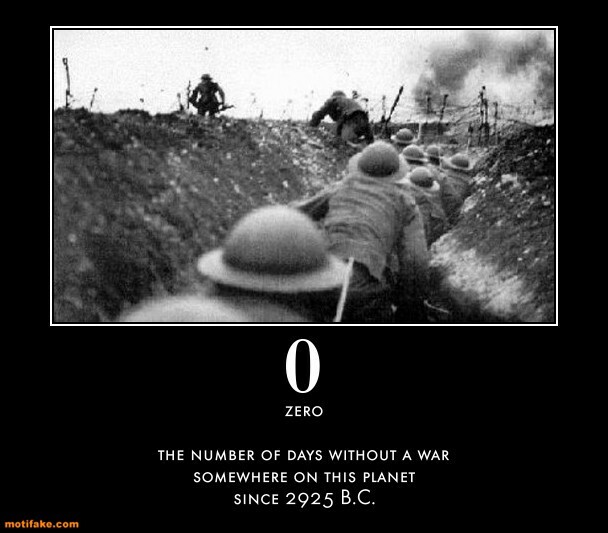 Though there are “rules” of war, generally ignored anyway, never has there been a rule of NO WAR. Idealistic and unrealistic of course, but nice to consider the possibility. Human deficiencies, greed and selfishness rule the world. Nicely put Ken. Happy New Year to you. So true – Unfortunately ! Yes, it is a world of destruction. The darkness of this world grows so more darkly. And as much as that saddens me, I still must find light and hope in the things that are there to put such energy into. I pray your new year will be filled with light, joy peace and all the love you need.